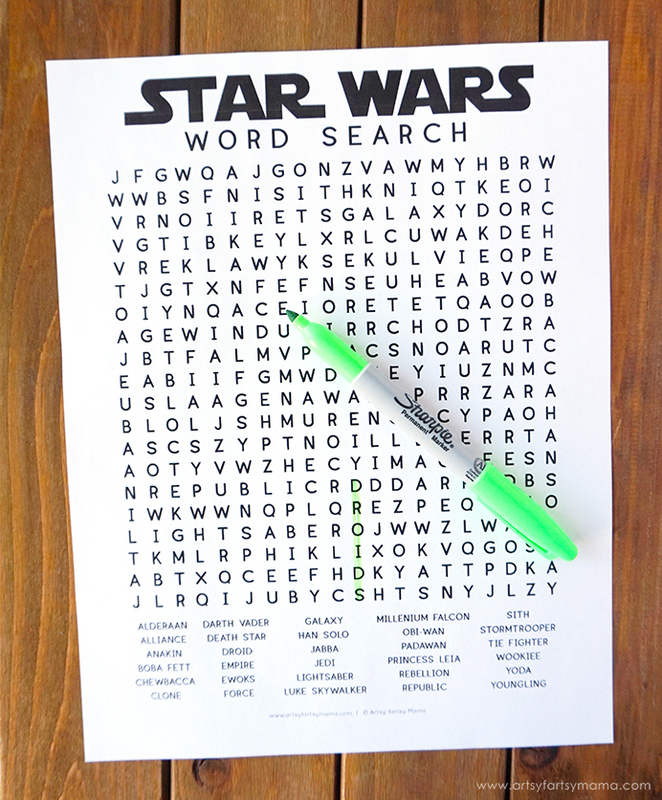 Celebrate your love of Star Wars with this Free Printable Star Wars Word Search! Star Wars Day, or May the 4th [be with you] is coming up! It's such a fun holiday for Star Wars fans around the world to celebrate this iconic franchise. 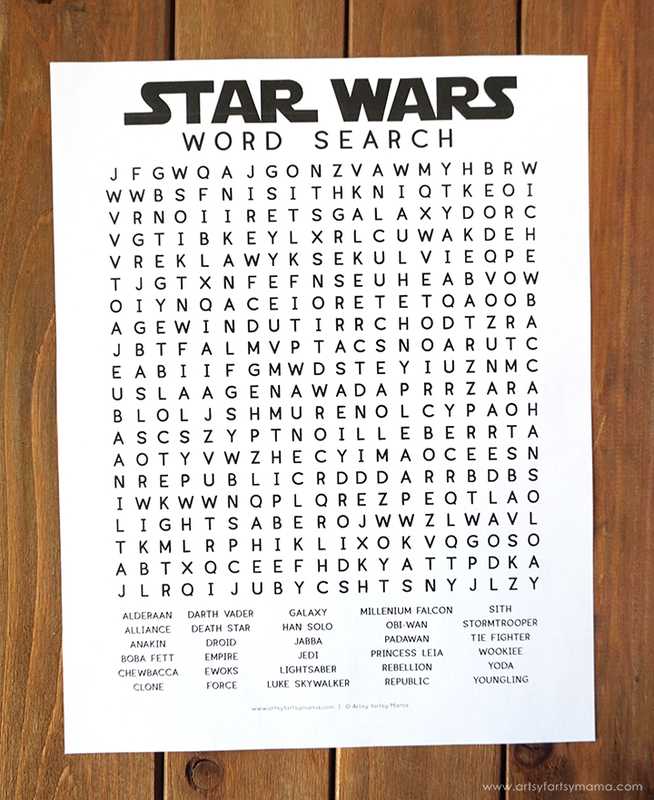 My daughter loves word searches, so I put together this Free Printable Star Wars Word Search. It will be such a fun and non-stressful way to celebrate this official holiday with friends, classroom, or family. There are 30 Star Wars character names and vocabulary words to look for that will be horizontal, vertical, diagonal and backwards. The printable download also includes the solution to the word search. Not only do we have a ton of fun with these at home, but my husband also loves taking these kinds of activities to school to entertain the students and keep them busy. 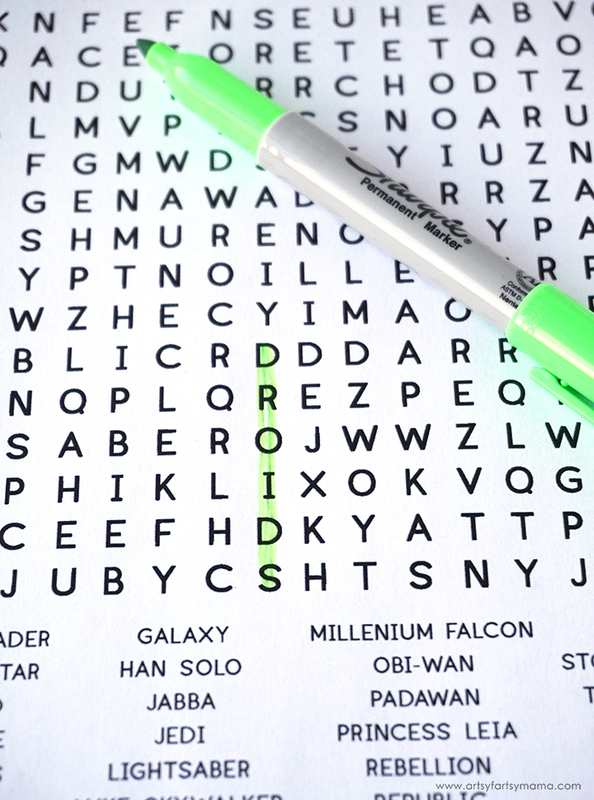 This is the perfect worksheet to have a little bit of fun on Star Wars Day!